My self-imposed hiatus from posting SNL reviews will be ending in the near future; I won't guarantee a return date, but once I'm back you should be seeing a new review on a semi-regular schedule. The next review will be of the Don Rickles / Billy Idol show, and I commit to completing the remaining reviews of the 1983-84 and 1984-85 seasons. 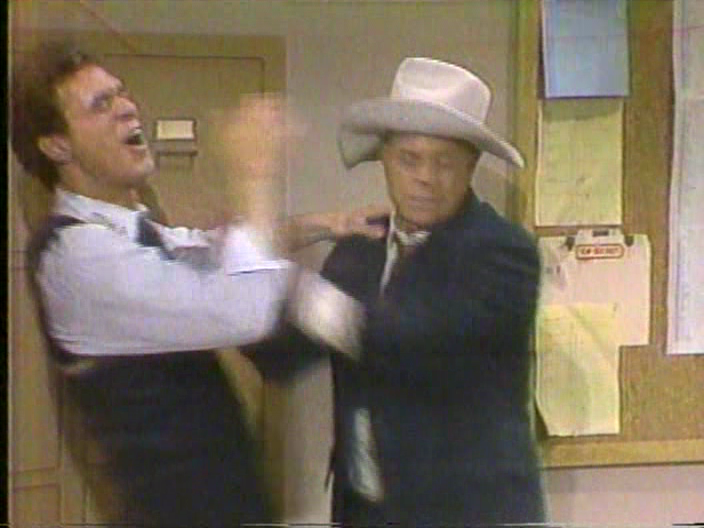 I have access to original broadcasts of many of these shows, although my copy of the original airing Rickles is incomplete (no second Billy Idol performance, Letterman promo or goodnights); I do have a complete repeat version, though, and a reader has graciously provided a transcript and captures of the Letterman promo. While I'm not missing any of these shows, there are a few original broadcasts I'm still looking for. As usual, any episode where I have an edited repeat version will be done with my existing copy of the show, and will be altered/corrected accordingly if I get an original broadcast. I'm debating what to do after I wrap up the Ebersol years. It would be fun to continue with 1985-86, although the reruns after Lorne Michaels' return have a fair bit more post-production done to them, and to track specific changes to shows may take more time and effort than I'd be willing to put in (not to mention the number of gaps I still have in my original broadcast collection). I still think there needs to be more to this blog than SNL reviews, but they're what my readers come for, and I like having the excuse to talk about the show. Finally, I want to thank Kevin Kelton, Nate Herman and Gary Kroeger for their invaluable background info on the previous ten shows. SNL season 41: End of the slump?